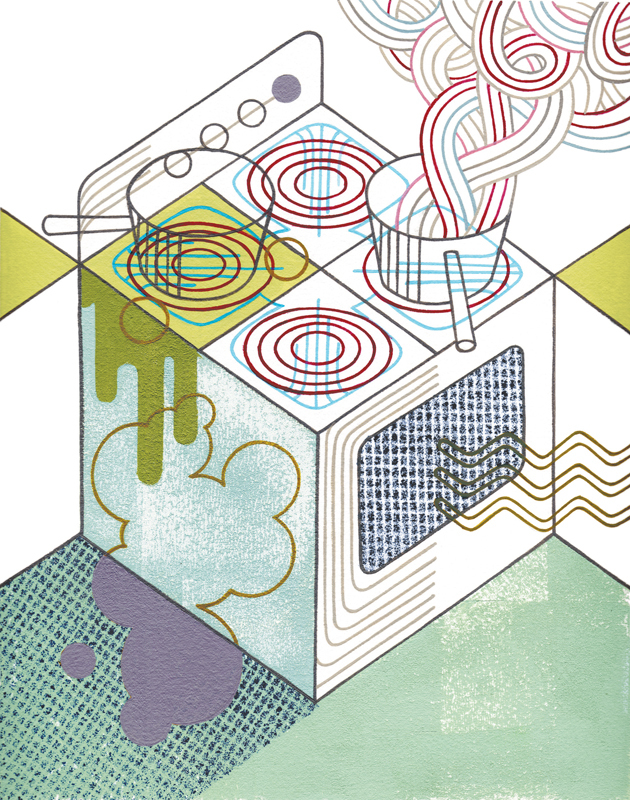 Thom Sevalrud's image, Stovetop, was just accepted into The Society Of Illustrators 54 Annual and Show (book category). The prestigious competition is held each fall and the winning artwork is published in the new year. All work is also exhibited at a show at the Society in NYC. This new work is a piece Thom created for the recently released Work/Life 2, an international illustration directory. 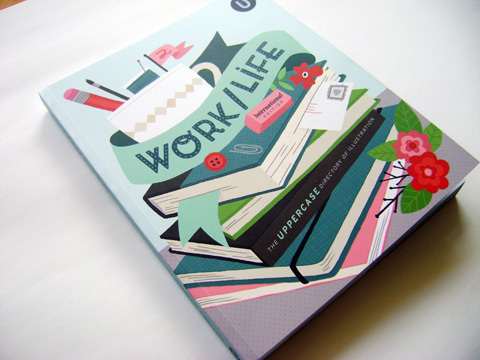 The book was designed, art directed and curated by Janine Vangool and published by Uppercase Books. Thom loved the conceptual challenge of interpreting an image specifically for the theme of Work + Life and how those two things co-exist side-by-side. He likes this quote from David Sedaris: "One burner represents your family, one is your friends, the third is your health, and the fourth is your work." Thom feels the quote is highly appropriate considering how many of us live our lives, with many 'pots on the stove', and definitely applies to himself, as multi-tasking is pretty much the norm for an illustrator. This illustration is a new piece Thom Sevalrud created for the recently published Work/Life 2 Illustration Directory, designed, art directed and curated by Janine Vangool. The book was published and is available through Uppercase Gallery. The image was also selected for the 52nd Illustration Annual of Communication Arts Magazine .